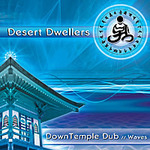 DownTemple Dub: Waves CD by Desert Dwellers is electronic dub & trance music with world rhythms for chillout, yoga and meditation. Co-creators Amani Friend and Rara Avis, joined by producer Craig Kohland (founder of the Shaman’s Dream Ensemble), meld elements of downtempo and psy-chill with sinewy basslines, otherworldly guitar and an exotic mix of organic instruments into an Indo-ambient mystical fusion. Pulsing with lush rhythms and serene harmonies, DownTemple Dub: Waves is a sonic odyssey into the soul of the global heartbeat. This recording, along with the forthcoming DownTemple Dub: Flames, was originally conceived as the soundtrack to the DVD Series Duncan Wong Yogic Arts. That project allowed Desert Dwellers to push the bounds of Yoga music into a new realm of musical fusion called “Yoga Dub”: electronic devotional music blending the boundaries of rhythmic ambience while incorporating such traditional instruments as subahar, tabla, udu, erhu, cello and voice. 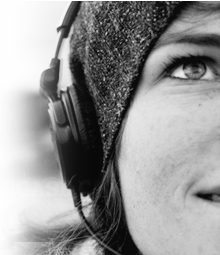 The emphasis is always on the space between the music, allowing for a non-intrusive soundscape supporting rather than distracting from the listener’s activity.